There is no one in music quite like Mark Harrison. He is widely considered one of the most original and interesting artists currently operating in the UK. His highly individual, all-original music goes has taken him and his band (consisting of some of the UK’s top roots musicians) to some of the top venues and festivals in the UK, attracting acclaim wherever he goes. Recent appearances on BBC Radio 2, as guest on Cerys Matthews’s show and on Anneka Rice’s Pick Of The Week show, have further added to his growing reputation. 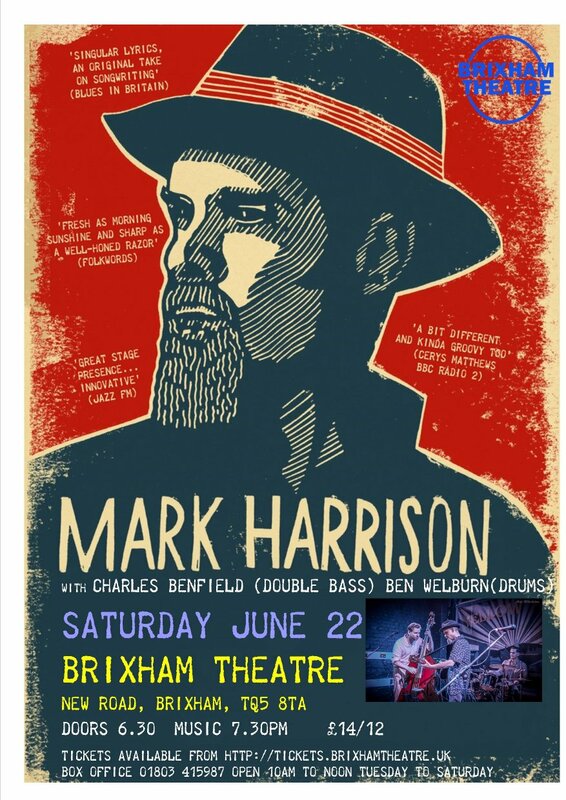 Described at BBC Radio 2 as ‘quirky’ and an artist who ‘makes you think afresh’, and by one eminent reviewer as ‘approaching national treasure status’, Mark is a totally original songwriter, a stunning guitarist, and a master storyteller. Mark’s live shows are well-known not only for the music but also for his introductions and explanations of the songs. Delivered in a manner often described as ‘wry’ and ‘dry’, these mark him out even more as a unique artist. Mark is a songster, and his songs cover all manner of non-standard subjects. With catchy tunes, lyrics than intrigue and engage, and striking rhythms, they make you smile, think and move. He takes elements of roots music, including folk, blues and gospel, to create something new that is very much his own genre.